How to Use OPI Glitter Off! We recently learned of the amazing new product Glitter Off by OPI launching in March 2014 (read all about it here), and today I wanted to share with you how it works! Glitter Off by OPI is a new, peel-able base coat that allows for the quick and easy removal of nail lacquer when applied beneath any glitter or dark nail color. Glitter Off provides a base for quick one-step removal and protects natural nails, while simultaneously making nail colors brighter. Glitter Off is designed to leave nails polish-free and stain-free in seconds, revealing a clean nail surface without the use of lacquer remover. 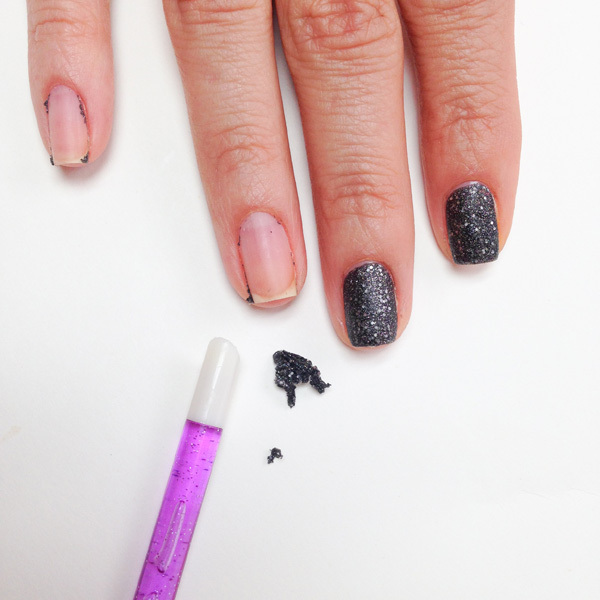 Step 4: when you are ready to remove, use a cuticle stick to gently lift up an edge and peel the glitter lacquer off the nail. That’s it! 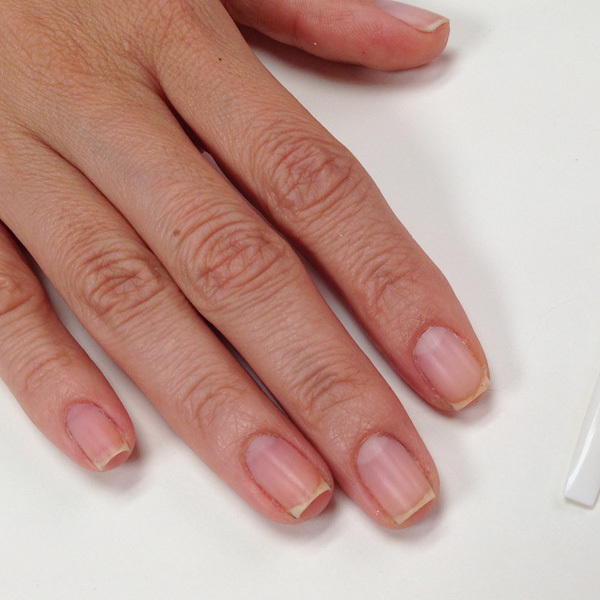 No remover necessary! Glitter Off features OPI’s exclusive ProWide™ Brush for the ultimate in application. Glitter Off will be available March 2014, at Professional Salons and Spas across Canada for $10.95 CAN suggested retail each. For more information on this or other products, please call 800-341-9999 or visit http://www.opi.com. Follow OPI on Twitter @OPI_PRODUCTS and become a Facebook fan! So what do you think? Are you excited to try Glitter Off? A product many of us may find useful for glitter manicures that take forever to fully remove. I’m actually interested to see how this will work. I have and use Nail Pattern Boldness Glitter a Peel, so I’m interested to see how they compare. Thanks for the post! I don’t have NPB Glitter a Peel (surprisingly) so am really looking forward to this. For whatever reason, Essence didn’t bring their peel off to our markets so I think this will be a huge hit!